Home antenna with hinged base and approximately 20-feet of cable to place that can be placed almost anywhere. It has an aim that allows for positioning for best signal reception. 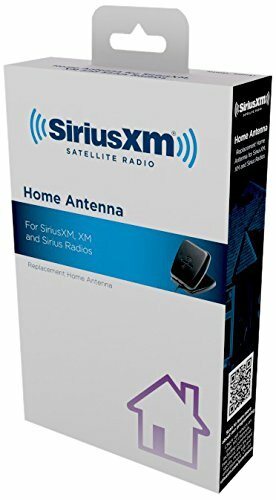 This antenna is compatible with all satellite radios and docks that work on the Sirius and XM networks with push on style, single input antenna connectors. Home antenna with hinged base and approximately 20-feet of cable to place and aim for best signal reception. Compatible with all satellite radios and docks that work on the Sirius and XM networks with push on style, single input antenna connectors. If you have any questions about this product by SiriusXM, contact us by completing and submitting the form below. If you are looking for a specif part number, please include it with your message.